For a lot of twinning organisations, one of the most persistent challenges is getting younger people involved. Many twinnings began in the early 1980s and too often, the founder members cling onto the executive without introducing fresh blood into the association. 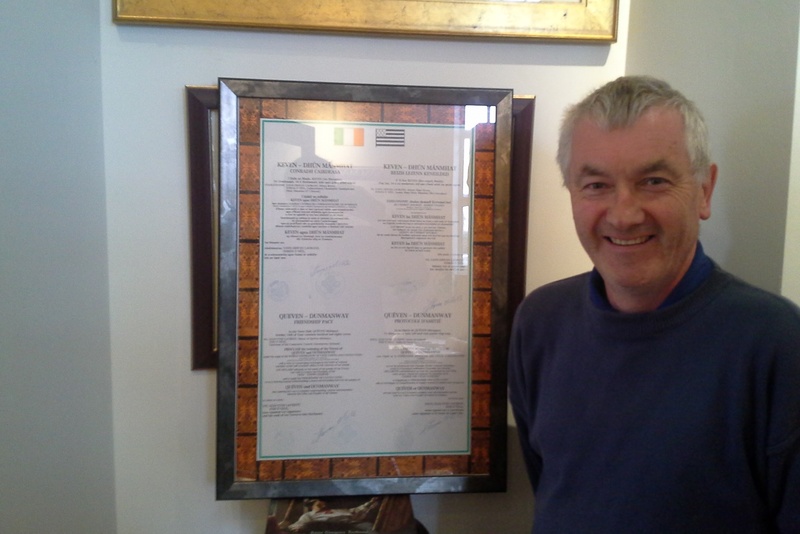 In 1987, the charter was duly signed and the arrangement began in earnest, with Tom O’Neill, Nellie O’Donovan and Liam Cotter being three of the main committee members at the initial stage. Music has always been at the heart of the exchanges and the first official group that went over to Brittany was a representation of Comhaltas Ceoltóirí Éireann. “About 18 months later, a few families went over… just to get to know people better.” The following year, a group from Quéven returned the compliment and there followed what Stephen describes as a quiet period of a few years with very little activity. Then, in 1995, there was another group visit to Quéven. This time, they tried something new and went over on a golfing trip. “Basically, we were trying to get the thing kick-started again,” recalls Stephen. Even today, after years of a surge in interest in golfing in France, the sport is far more of an elitist activity than it is in Ireland and at that time in the mid-1990s, golf players in France were very much in the minority. But the unusual approach paid off. The famous Festival Interceltique in Lorient (“only a stone’s throw away from Quéven”) had started a pro-amateur golf tournament in 1994 and the Dunmanway idea fitted in nicely with all of that. Since then, the Dunmanway side has sent at least one (and sometimes two) pro-am golf team to Brittany every August. This has meant that members of the twinning committee physically meet one another on an annual basis on the golf course at the very least, if not at an official twinning event too. The golfing element has kept the movement youthful too. On the first golf outing to Brittany, there was only a small grouping, including Stephen’s son Daniel, who was 16 at the time. Through the music, however (the other main pillar of the association), there was an increase in youthful involvement in this year’s exchange event in Brittany, most of whom will be coming over on a return trip in 2015. This year too, there was a presidential visit as Michael D Higgins graced the Year of the Irish with his presence in August. Travel arrangements for the golfing visits are paid for individually by the members of the twinning association, but once over there, people are accommodated and the golfing tournament budget is looked after on the French side too. For the visits from France, the necessary hospitality budget is raised through fundraising activities and between now and May of next year, there will be various events going on, according to Stephen and secretary Norma Wilson, such as table quizzes, family bingo, a coffee morning and raffles. The local business community is always very generous, Stephen says: something that has been the case through both the lean and the prosperous times. 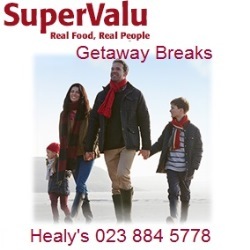 These days, there is a bounce in the step of Dunmanway’s commercial life as the presence of a number of supermarkets has attracted a wider reach of shoppers to the famous market town. On the French side, the growth of the town has been exponential since the twinning charter was first signed. 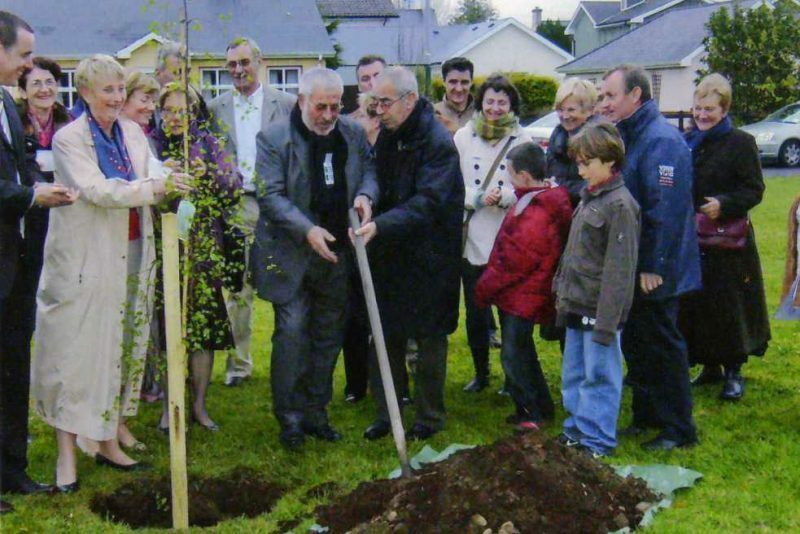 The position of Quéven as a satellite town of Lorient has seen it increase on a scale that wasn’t possible in the case of its Irish twin and Quéven is now about ten times the size of Dunmanway. The budget on the French side is far greater too, something that makes the success from the Irish side in this case all the more remarkable. 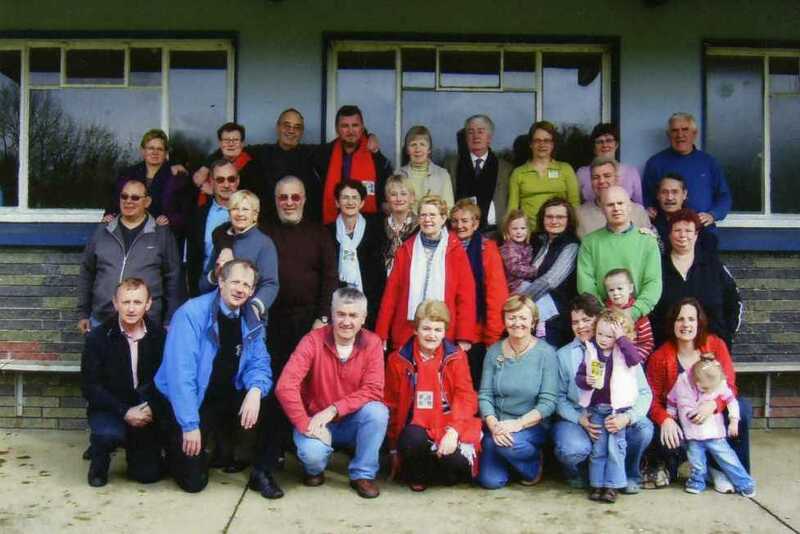 Stephen feels that there is an astonishing lack of communication between the twinning arrangements in Ireland and would welcome an All-Ireland twinning federation in some form. 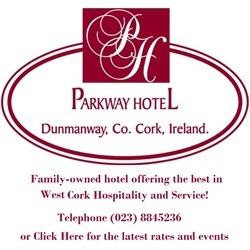 As an example, he mentions the fact that another twinned town from the western side of Cork – Carrigaline – has an ongoing arrangement with a Breton town only 7km from Quéven. Yet it was only by meeting at the pan-Celtic Festival in Lorient that they knew of one another’s existence. In the meantime, the twinning association will continue and Stephen feels that this is important. “I think that it’s important bBecause I can see it even in my own son: the first year, we went over there, he wouldn’t touch the food there… didn’t want to go near it; he was a plain-food man. Now, he’ll try anything. Previous Previous post: Davy Crocket – From Montauban via Ireland!